3 lines dermaroller can remove wrinkles, body extension scars and burning scars, pigmentations, and prevent hair loss. 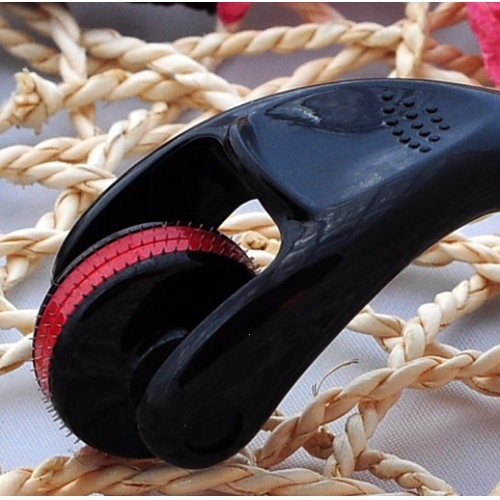 Dermaroller Skin Tighten Roller Certify by CE. The beauty roller is revolutionary device which has the amazing abilityto naturally stimulate collagen and elastion production in the skin without damage. It can be used by both men and women and is designed to achieve numerous results: smoothing fine lines and wrinkles, pores size reduction. Improving the apperance of scars (including acne scars), improving the apperance of stretch marks/striate/ cellulite, improving skin texture as a result of firmer and more lifted skin, treating alopecia (hair loss) for both men and women. Follow 3 steps of needling to enhance forming channels. You should choose which roller will be suitable according to its purpose of treatment before operation. (used for improvement of the whole skin color, for the solution of partialpigmentation problem, etc). -Needles material : Medical Purpose Titanium. -Body Color : Black or White. -Box Color : White + Purple. -50% improvement of needles' strength than a normal material. 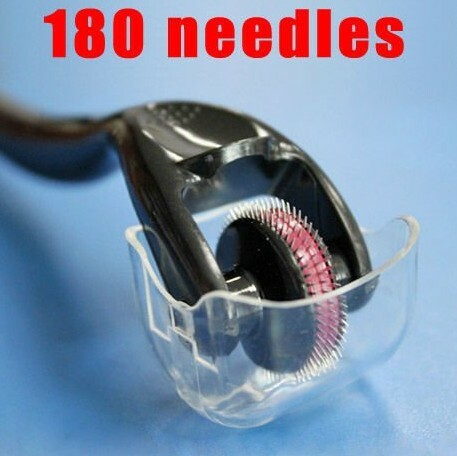 Product : 3 Lines 180 needles Dermaroller.